Justify leaps over the tram path, first time under the wire, in the Preakness Stakes. The Stronach Group, owners of the legendary Pimlico Race Course, announced Thursday that facility and Preakness Village tickets to the 144th Preakness Stakes are on sale. The Preakness Stakes (G1), the Middle Jewel of the Triple Crown, will be held on Saturday, May 18th, 2019 at Pimlico Race Course, in Baltimore, Maryland. The 95th Black-Eyed Susan (G2) will take place on Friday, May 17th, kicking off an incredible weekend of entertainment and world-class Thoroughbred racing. Tickets to the 144th Preakness Stakes and Black-Eyed Susan Day are available now at www.preakness.com. Tickets range from $40 to $720 per person and offer unique, curated experiences for every guest, including multi-day tickets, amazing trackside views from the Grandstand and Apron and elevated race-day luxury in the Preakness Village. First contested in 1873, the Preakness is one of Thoroughbred racing's most valued Grade 1 stakes races and one of the world's most renowned sporting events. 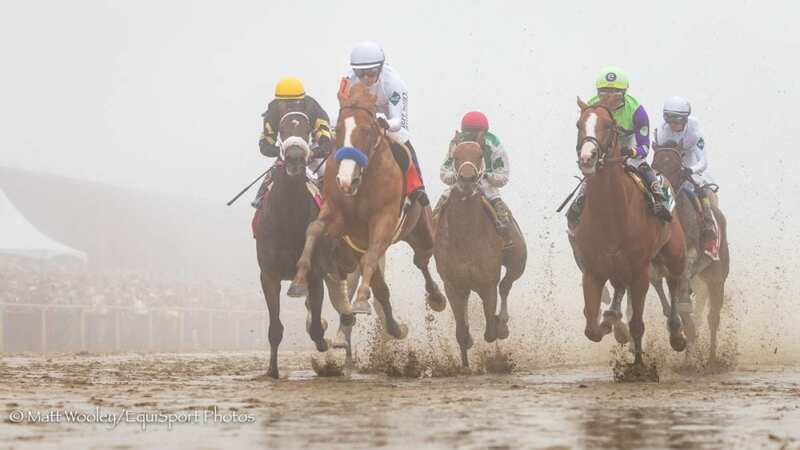 In 2018, a crowd of 134,487 witnessed jockey Mike Smith and eventual Triple Crown winner, Justify win the 143rd Preakness Stakes in a dramatic finish through the fog. Celebrity fans in attendance included Post Malone, Charlotte McKinney, Giada De Laurentiis, Chanel Iman, Ne-Yo, AnnaLynne McCord, Bill Belichick and players from the NFL's Baltimore Ravens and Washington Redskins, to name just a few. The fan favorite InfieldFest will return for the 11th year and includes a full-day concert experience featuring top tier performers, a variety of food and beverage options and a host of wagering opportunities aimed at engaging the next generation of fans. The Stronach Group will announce the InfieldFest artist line-up and tickets in early 2019. InfieldFest has showcased some of music's biggest stars, including Post Malone, 21 Savage, ODESZA and Frank Walker (2018), Sam Hunt and Zedd (2017), The Chainsmokers and Fetty Wap (2016), Armin van Buuren and Childish Gambino (2015), Lorde and NAS (2014), Macklemore & Ryan Lewis, Pitbull and Florida Georgia Line (2013), Maroon 5 and Wiz Khalifa (2012), Bruno Mars (2011), Zac Brown, O.A.R. and Train (2010), and Buckcherry and ZZ Top (2009). Follow all of the excitement of the Preakness Stakes on Facebook, Twitter and Instagram @PreaknessStakes and at #Preakness. This entry was posted in The Biz and tagged belinda stronach, Black-Eyed Susan, pimlico, Pimlico Race Course, preakness, Preakness Stakes, preakness village, The Stronach Group by Press Release. Bookmark the permalink.